"When I was younger, I always admired and was fascinated by older women," photographer Lola Flash explained to The Huffington Post. "Now, I am both curious about what kind of seasoned woman I will become, as well as outraged that women, in general, do not receive the respect they deserve. In particular, older women." Flash is an artist of African and Native American descent, born in Montclair, New Jersey. She's been taking photographs since she can remember. Inspired by artists including Carrie Mae Weems, Gordon Parks, Diane Arbus, Romare Bearden and Hank Willis Thomas, she's always hoped to use her camera to open up new ways of seeing, especially with regard to stereotypes of race and gender. So, for her series "Salt," Flash photographed iconic women over 70 years old, still active in their fields of work, using a 4x5 large format camera. The resulting images are classical portraits with unconventional subjects, giving older women the well-deserved visibility they are often denied. 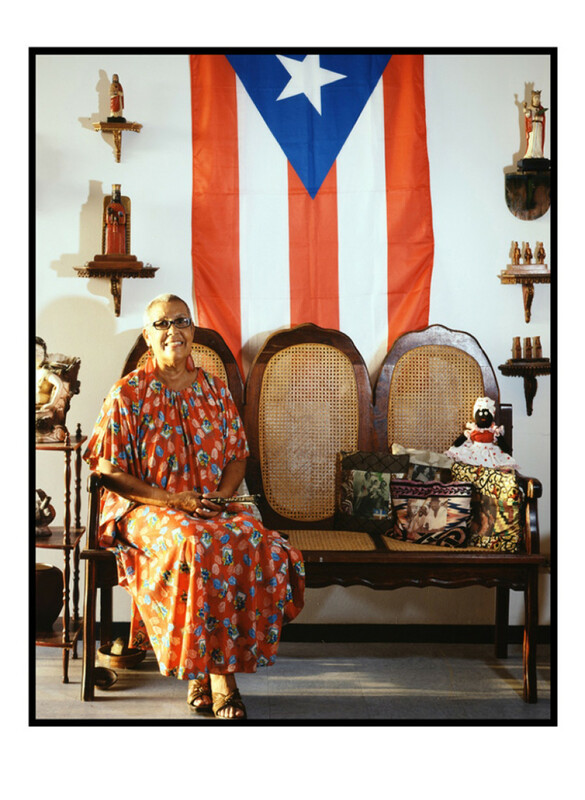 Norma, who lived in San Juan, was a passionate singer. "Some of the women are friends, or friends of friends and some are women that I have admired from afar -- like Ruth Pointer of the Pointer Sisters, who I will photograph in June. The common strand that they share is their passion for life and continued conviction to make the world a better place." Included are Toni Parks, photographer and daughter of Gordon Parks, and Koho Yamamoto, a master sumi-e painter. All subjects are captured where they feel most at home, giving the traditional portraits an intimate feel, providing viewers a glimpse into their personal lives. Salt's photos not only capture the physical features of her subjects, but their strength, passion and energy. "I want to show their beauty. I want to challenge stereotypes and offer new ways of seeing that transcend and interrogate gender, sexual and racial norms. My work welcomes audiences who are willing to not only look, but see." See more artists who explore the beauty of aging here.